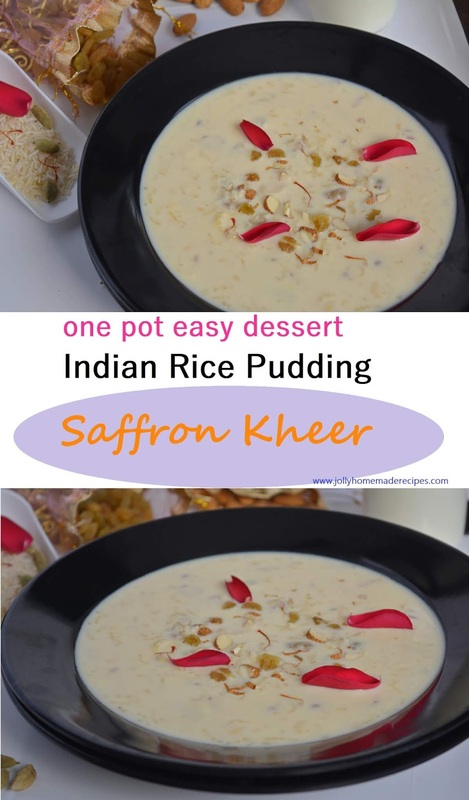 One Pot Easy Dessert | Gluten free Indian Rice Pudding | Saffron Kheer - It is a traditional and creamy Indian rice pudding cooked with rice, milk, sugar and it is spiced with cardamom, saffron or lots of dry fruits. It is so simple to make and taste delectable. It is of the right consistency, not too sweet and just perfect on its own. Kheer is very popular dessert throughout India. It is called by different names across India – Kheer in North and West India, Payasam in South India and Payesh in East India.. Although the names are different, but the cooking technique is quite similar. 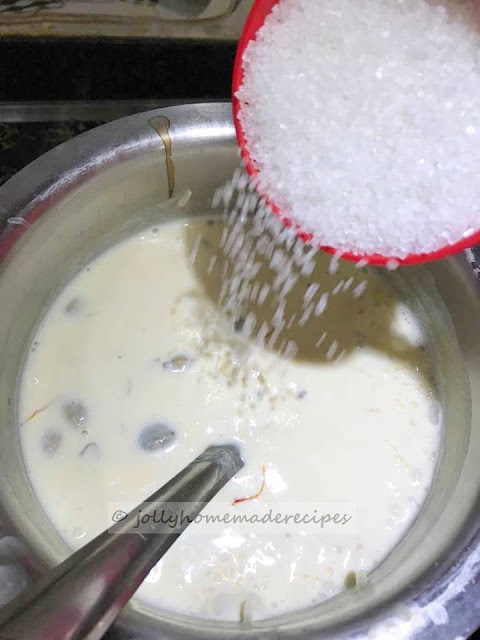 In every Indian kitchen, rice kheer is often made for an auspicious occassion or a pooja, it could also be a festive occasion like Diwali, Ganesha chaturthi,holi or a religious ceremony conducted in our home or simply make them for any celebrations and enjoy them. The appearance is satisfying and flavors too are rich, creamy and yummy. Cardamom is the most common spice used in Kheer. Saffron may be added if affordable and if the occasion is special enough. 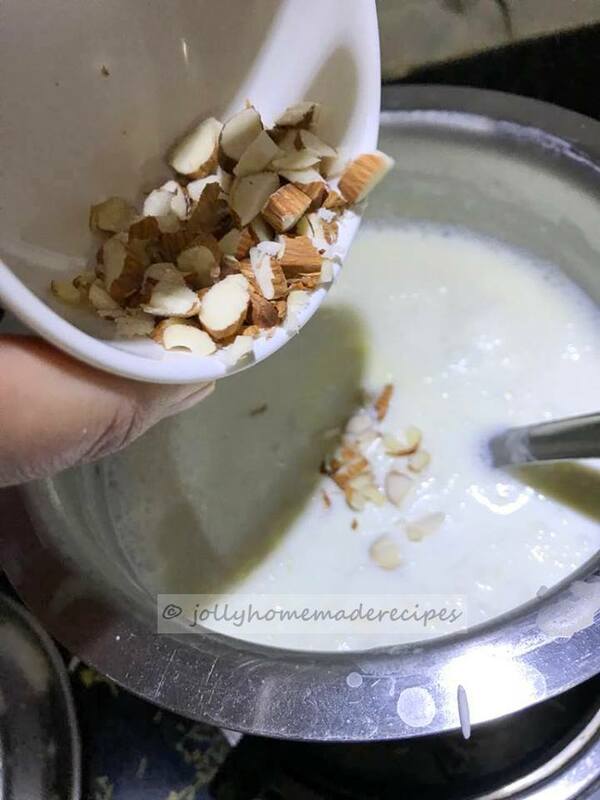 You can use endless variations of nuts into kheer like pistachios, dates and figs as per your taste, my family like almonds and raisins most so I used these two nuts only. This is really a such a comfort food. Rice based sweet dishes are very popular from ancient times, as rice was staple grain, available in most households. 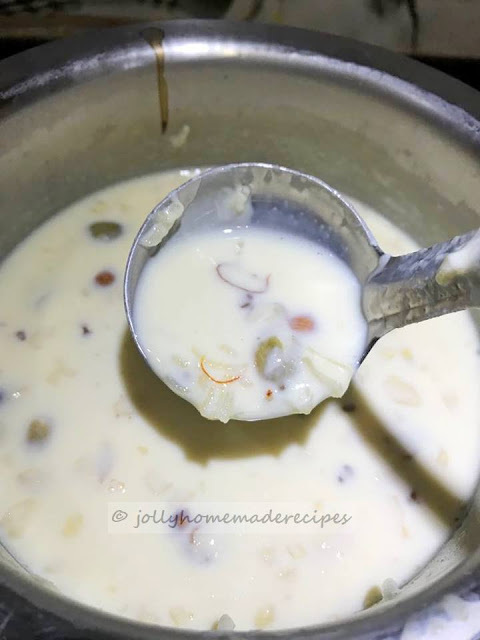 At our home this rice kheer is must for any small or big occasions, festivals or pooja !! This is one of our all family favorite pudding..So made this kheer on my baby Aarush 1st birthday [on 5th march] as a bhog(prasad). 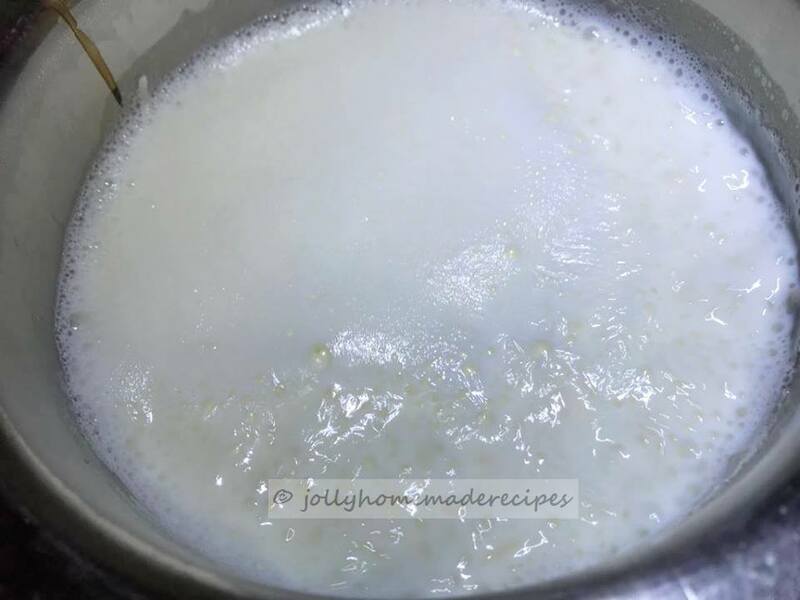 This kheer is perfect for any occassions...make them and enjoy with your family & friends. 1. In a thick bottomed pan, bring the milk to a simmer. Constantly stir to prevent sticking at the bottom of the pan. 2. Add rice and let it come to a boil and then lower the heat of the burner to minimum and gently simmer until the rice is soft, cooked and the grains are starting to break up. 3. In a small soak Saffron strands with 1 tbsp of warm milk and add it to the milk, and let it boil for 10 minutes. almonds and the raisins, and simmer for about five more minutes, while constantly stirring to dissolve the sugar completely. 6. Serve warm or chilled, as preferred. Garnish with more nuts before serving, to make it even more decadent. 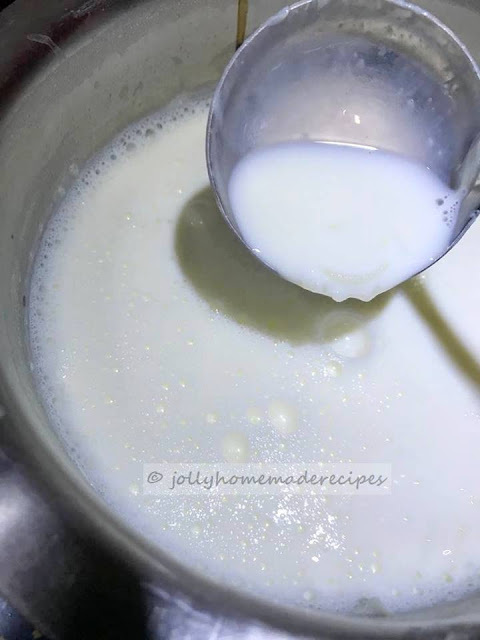 * During the entire time, keep the heat to very low and stir very frequently to keep the rice and the milk from sticking to the pan and from keeping the rice from clumping. This could take as long as 45 minutes to an hour. Perfect for the festival season.. Yummy kheer with rice and saffron.. This kheer is a must during the festival times. Yours looks so creamy!! Nice clicks.. Perfectly made n just right for the festive season. Omg, such a delightful kheer, and simply love this kind of rich kheer as dessert after my lunch. Prefect festive dish. So tempting ... Love the way you have garnished it with fresh rose petals . One of my favorite kheer. Loved the step by step tutorial with pictures. What a creamy and delicious looking rice pudding. Sounds fragrant and aromatic with the addition of kesar. Lovely and creamy sweet.. Beautifully made and loved the clicks too. Absolutely tempting ! Kheer looks scrumptious Jolly! !Fab clicks too. 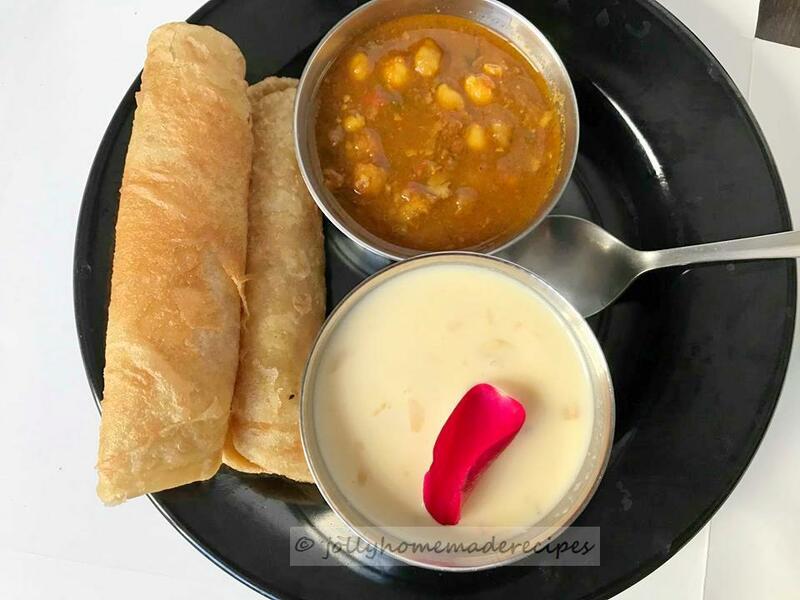 I love kheer and saffron is one of the must ingredients for me too. Mouth watering! Saffron kheer is such a delight. A bowl of home and comfort. Happiest Birthday to the lil one and what I loved is that you celebrated it with a traditional dessert. When we were young, payasams were always the first thing we drank after our bath and pooja on our birthdays. Lovely kheer and flavoured with saffron and dry fruits makes it all the more yum. This is comforting, filling and traditional at its best. Love this kheer, it's tasty and made regularly at home. Kesar is one of my favorite ingredient which gives a really subtle and nice aroma and color to any dish. The Kesari rice kheer looks simply divine. My most favourite dish and kheer is omnipresent in India. I am so much addictive to milk and sugar :) Lovely share. 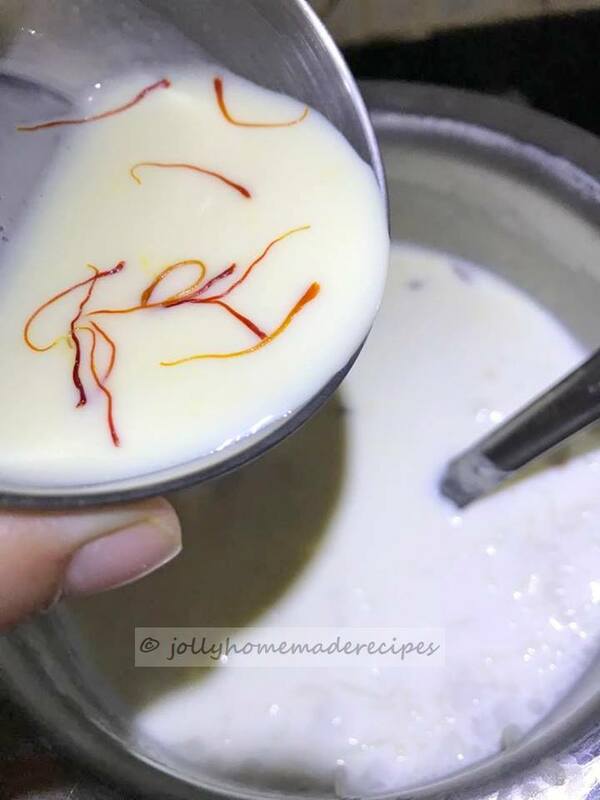 Kesari rice kheer looks super yummy Jolly. Rich creamy and delicious. Colour of Saffron makes the dish gorgeous.